The application of growth-factor is a treatment to improve tissue repair using a patient’s own platelets and plasma. While initially, PRP was used in heart surgery, it has since been applied to non-healing skin ulcers, orthopedics, podiatry, otolaryngology, neurosurgery, dentistry, wound healing and in preventing post operative blood loss. Blood is composed of red blood cells, white blood cells, plasma and platelets. Platelets are made in the bone marrow and have a circulating life of 7-10 days. They are known to participate in clotting and initiate normal tissue healing. Within the clot, platelets become activated and serve anti-inflammatory, proliferation and remodeling functions. They release many factors responsible for wound healing. With the use of a centrifuge, PRP is concentrated and growth-factor-rich platelets are separated from whole blood and may be re-injected to augment natural tissue healing. In the laboratory, PRP has been shown to increase cartilage growth. When compared clinically with hyaluronic acid injections, PRP far outperforms the former. The basic science research has focused on how PRP treatment of intervertebral disc injury may result in healing when none otherwise takes place. PRP has recently been shown to be potentially beneficial in treating the pain of facet joint arthritis when intraarticular local anesthetic and corticosteroids fail. 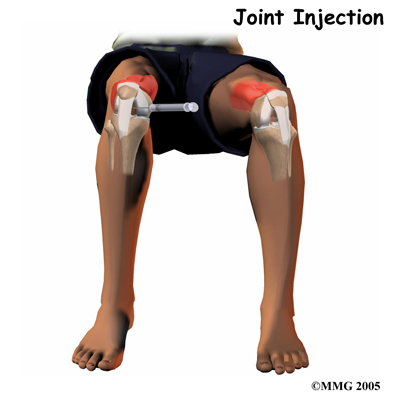 I currently am involved in a clinical study using Platelet Rich Plasma for the arthritic knee. The preliminary observations of the registry are very encouraging with approximately 70% clinical improvement in all stages of knee arthritis at six months from the first injection. What have not been tested are closely defined unique regenerative rehabilitation programs. Mary Langhenry, PT, OCS just returned from the First Annual Symposium on Regenerative Rehabilitation held under the auspices of the University of Pittsburgh Medical Center Rehabiliation Institute, November 3-4, 2011. She will be revisiting the physical therapy protocols we have in place and updating them with contemporary modalities to best serve the notion of regeneration along with rehabilitation. Did you happen to see the 11/14 AMA headline , ABC World news, NBC Nightly News, and CBS Evening News headline “Patients’ Own Stem Cells May Be Used To Reverse Heart Damage”? It is a major step forward in bringing the stem cell promise to clinical practice.